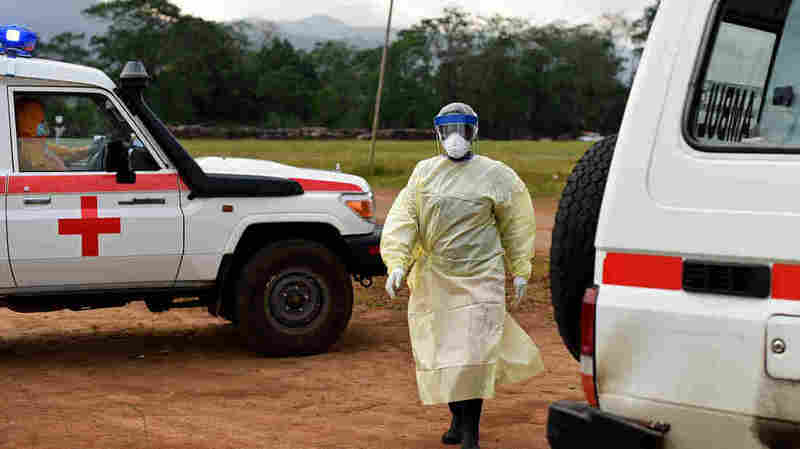 A Case Of Mistaken Identity Sends Healthy Boy To An Ebola Ward : Goats and Soda An ambulance in Sierra Leone is sent out to pick up a suspected patient. But after two wrong turns and several stops for directions, it arrives at the home of a 14-year-old boy with no signs of Ebola. 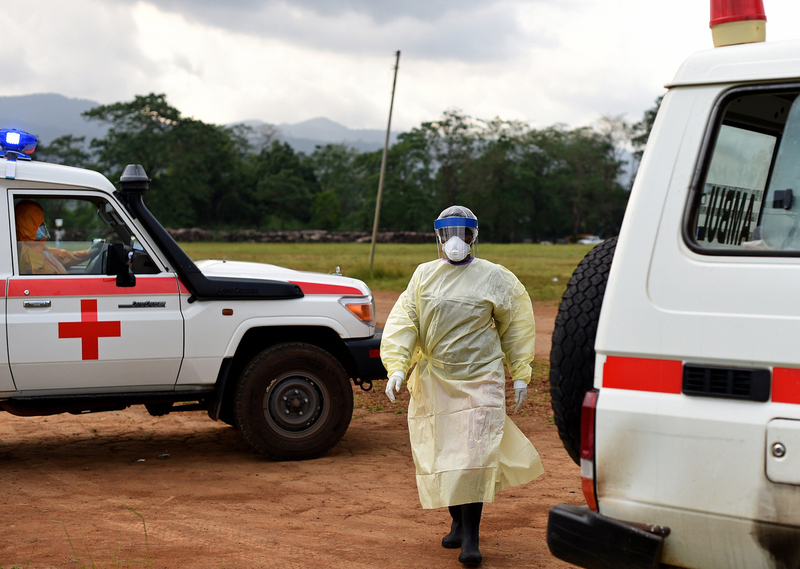 A health worker, wearing personal protective equipment, returns to her ambulance after transporting a patient to the Hastings treatment center outside Freetown. The center is the only one run exclusively by locals. Postscript: Ngaima was kept at the isolation unit for the next six days, despite being told that he would get his Ebola test results within 24 hours. Ngaima eventually tested negative for Ebola and was discharged. But it was possible that, between the time his blood was taken and the time he was discharged, he could have been infected by another patient. Since we returned to the U.S. in late September, we have been unable to reach Espangura for further updates.